While we all know that acne is often an indicator of what’s happening inside our bodies rather than on top of our skin, sometimes you just need that terrifying pimple to go away NOW. 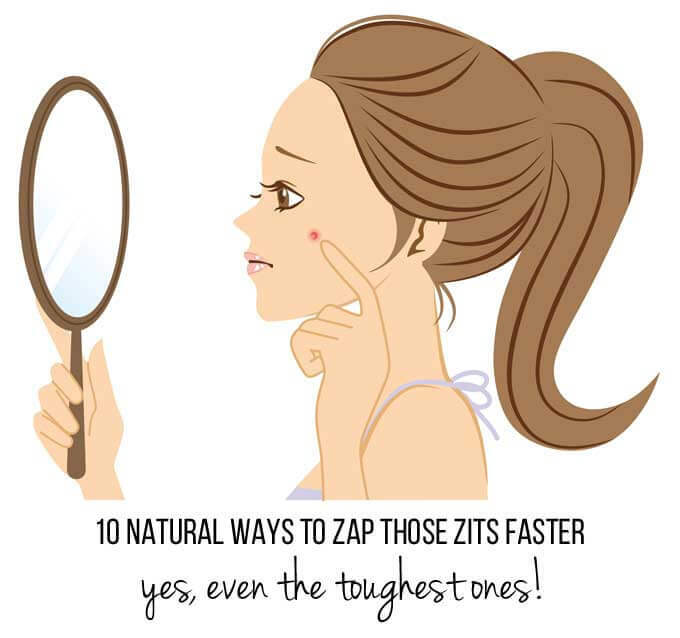 So, even though these tried-and-tested home remedies might not banish the chronic cause of your acne, they will definitely help zap the zits almost immediately! Make strong green tea and pour into an ice cube tray. Once frozen, rub one of the cubes over your face 2-3 times a day. Green tea is both anti-inflammatory and astringent, so the inflammation will go down and skin will be soothed. This is as simple as it gets: cut open a tomato and rub its juice on the blemished areas once or twice a day. Tomatoes are astringent and packed with antioxidants, which make them perfect for zit zapping. Dab a bit of lemon juice on the spot and leave overnight. Lemon’s astringent properties will shrink the blemish. If you want even more drying power, dissolve half a teaspoon of salt in 2 teaspoons of lemon juice, rub into the zit and leave on. But remember: lemon juice makes your skin more sensitive to the sun, so don’t go out into the daylight without sunscreen! Separate egg yolk from the white, whip the white and dab it on spotty areas with a Q-tip. Leave on overnight and wash off in the morning. Boost the treatment by first dabbing on lemon juice, letting that dry, and then covering it with the egg white. Add 4 teaspoons whole cloves and 2 teaspoons ground nutmeg in half a cup of milk. Heat on low for 10 minutes, then allow the mixture to cool. Once it reaches room temperature, apply the liquid to pimply areas with a small fabric. Leave on for half an hour, then rinse. Dissolve 6 tablets of aspirin in half a tablespoon of raw, unfiltered apple cider vinegar. Add 2 tablespoons of honey to the mixture and stir well. Apply the mixture to a clean face; let sit for 15 minutes, then rinse off well with warm water, scrubbing gently. Aspirin contains a mega dose of salicylic acid, which is one of the main ingredients in most store-bought acne products. Don’t use this mask more than twice a week, else it will dry out your skin. Mix 1/4 teaspoon of mustard powder with 2 teaspoons honey and stir well. Apply on the affected areas, leave on for 20 minutes and then rinse off. Mustard contains natural salicylic acid, vitamin C, omega 3 and 6 plus zinc, all of which are great for banishing blemishes and soothing the skin. Ah! Another one of my all-time favourites. While it is normally a no-no to use undiluted essential oils on your skin, lavender and tea tree essential oils are okay to use “neat” if applied occasionally and only on the pimples themselves (not on the entire face!). So, put one tiny drop of either oil on a Q-tip and dab on the blemish; leave on overnight. Dab a bit of raw, unfiltered apple cider vinegar on the affected area and leave it on for at least 20 minutes (or overnight if you can stand it!). But don’t overdo: once or twice a day (and only on the blemishes) is plenty. 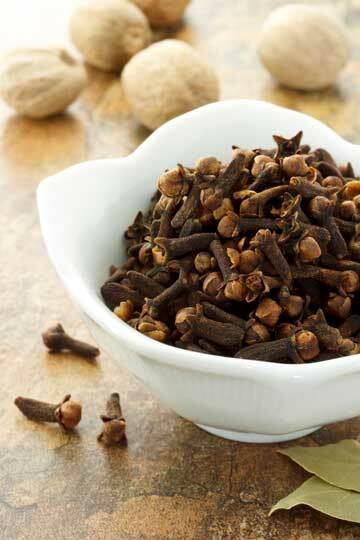 Do you have a favourite zit remedy? Something you’ve tried and loved? Share it here! « The DIY cold and flu tonic that will keep you healthy all season long!